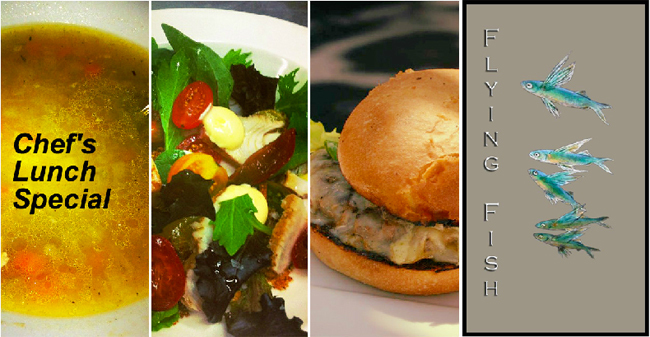 Flying Fish is pleased to present our Chef's Lunch Special! Featuring our Soup of the Day, our renown Burger with a Salad (from locally aquaponically grown greens!). Only $29. We have our own parking lot for your convenience. Our full lunch menu is also available.